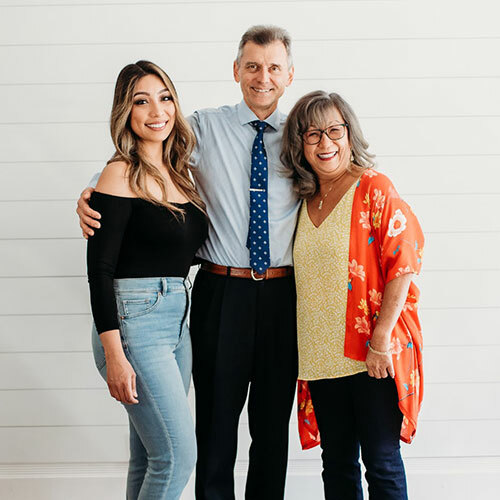 At Dentistry by Design, we believe in providing the best, personalized dental care for you and your family by forming a bond with each patient. As we earn your trust, you will notice the difference in the care we provide. Together, we work toward your goals of dental health and a great smile. No matter what your concerns or questions may be, we will discuss them and provide answers for you, so you always feel comfortable with the work that needs to be performed. If you have anxiety about treatment, we will calm your fears and make your visits comfortable and enjoyable. You never need to feel embarrassed about any dental problem or appearance, or any past trauma you may have experienced at a dental office. We are compassionate and understanding, and you will appreciate the level of care we give and how we provide it. Dr. Ionescu takes great pride in his ability to administer painless anesthetic injections. He realizes, though, that some people become anxious just at the thought of receiving a shot. If you or a loved one become nervous when you need dental care, we have solutions that will relieve your stress. We never take any risks when it comes to your good health. You can be assured that all the instruments we use during your treatment are either discarded after a single use or sterilized in our state-of-the-art sterilization center. Reusable instruments are sterilized in an autoclave that is monitored by an outside lab. This ensures that the highest levels of cleanliness are maintained for your safety. For patients who have no insurance, we offer a dental savings plan that can make all your dental care more affordable. A low monthly fee covers all your preventive care! Ask us for details.